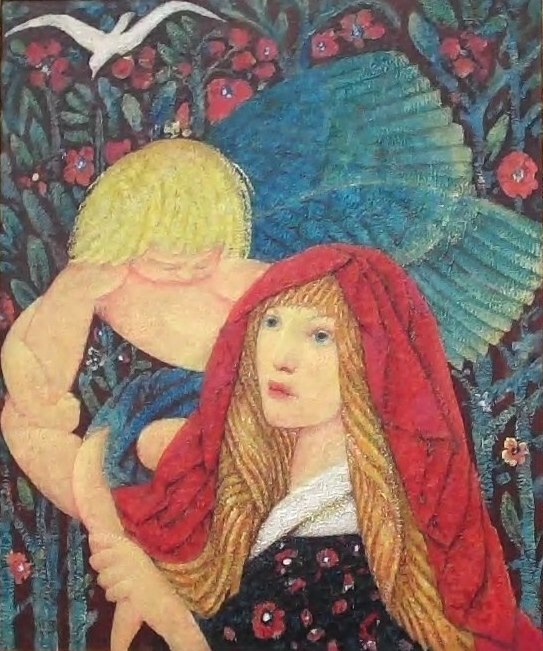 Woman and Guardian Angel, oil on canvas on board, 1925, 30 x 25 in. 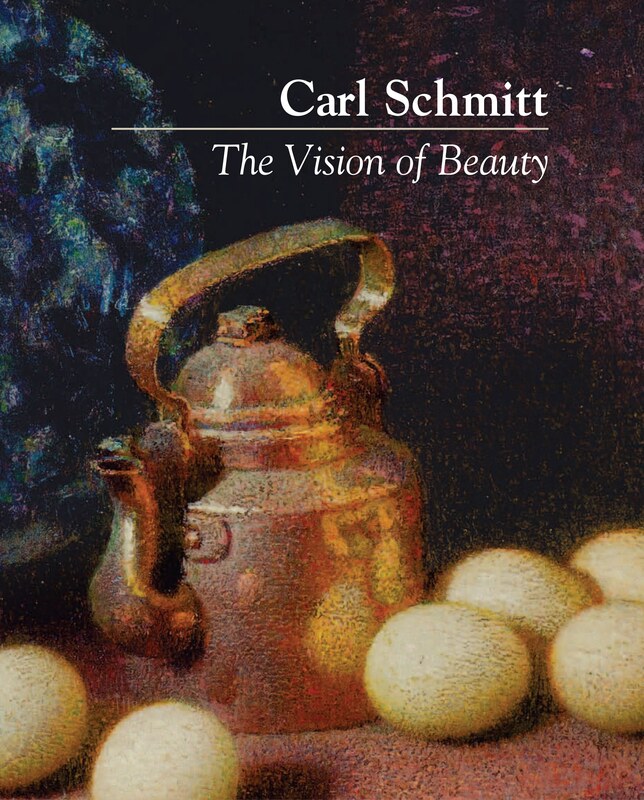 A gift to the Foundation from the grandniece of John Kenneth Byard, one of Carl Schmitt’s early patrons. 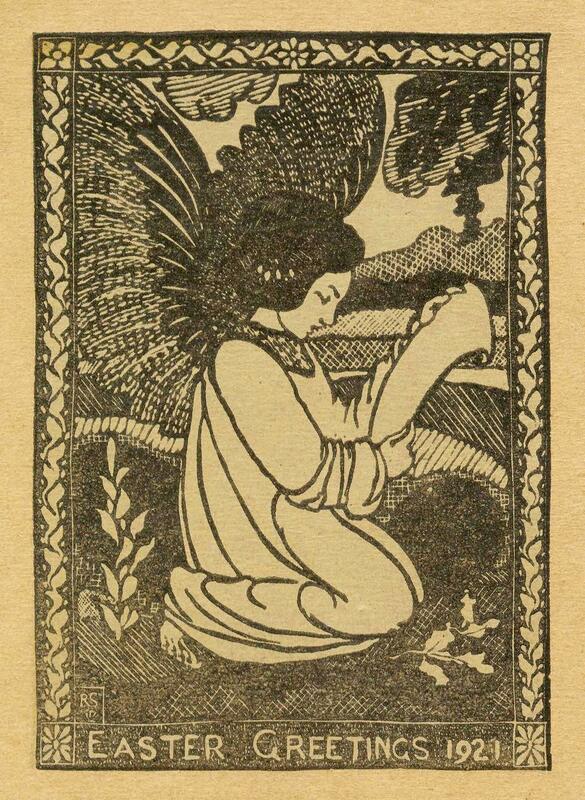 Easter card by Robert Schmitt, 1921. 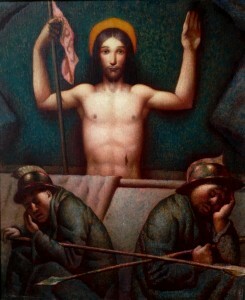 This painting is very similar to one of the same name bought by Schmitt’s good friend John Cavanaugh in the 1940s and now owned by the C. Michael Schmitt family. Schmitt’s great-granddaughter Bridget Skidd wrote of her discovery of this painting here.